Polymeri Online - Iris Mishly Polymer Clay Blog: A peek into "Creative World 2012"
A peek into "Creative World 2012"
I may be biased but truth has to be said :) we are working with the most amazing material in the world. 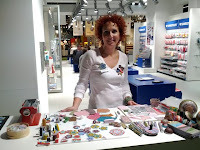 For 4 days I was a part of a creative experience to introduce fimo polymer clay to thousands of people. People who never heard of it before, never touched it or saw work made of it, people who were smiling and wowing roses and flowers, admiring the possibilities and interested in knowing more about it, and it was wonderful. As I wrote in my previous post, I had the honor to be Staedtler fimo guest artist in "Creative World" 2012. This event is the world’s biggest trade fair for the creative sector held in Frankfurt, Germany. 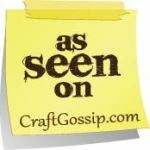 It is the highlight for the hobby, crafts and artists’ segments. It was so interesting to see how different audiences react to the display - fellow artists were quickly discussing techniques and ideas with me, while other people, not familiar with the polymer clay world, were checking closely and watching me work. Language was never a barrier. My appearance included demonstrations of various techniques and products - basic and advanced millefiori caning featuring the new colors and pen collection by fimo, display of the endless flexibility of the material, methods of work, infinite possibilities for designs and unusual products made with our material. A special artist collection of pens was displayed and included pens by Carol Blackburn, Sabine Backer, Sandra Bohlmann, Bettina Welker, Sarah Shriver and my own pens. Guests! Wonderful friends came to see the show and say hello! 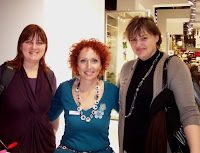 Klavdija Kurent & Tatjana Mikolic, Kirsten Illgner, Kerstin Rupprecht, Anke Humpert, Conny and the sweet Sabine Backer who was Staedtler guest artist on 2011. I had little time to walk around but when I did find some time I saw lot's of interesting booths - paper art, paints, tools, adult and children diy projects, cookie cutters suppliers, beads, art and hobby materials, decorations, art books and all this was just "Creative World". 2 addition fairs were held at the same time devoted to paper ("Paper World") and "Christmas World" showing festive decorations and innovations for the coming seasons - huge, huge shows. Unfortunately photographing was not allowed so I can only share with you my own photos. Besides the fact that it's my first visit in Frankfurt (but not in Germany) I had a wonderful, creative adventure, one of a kind experience. 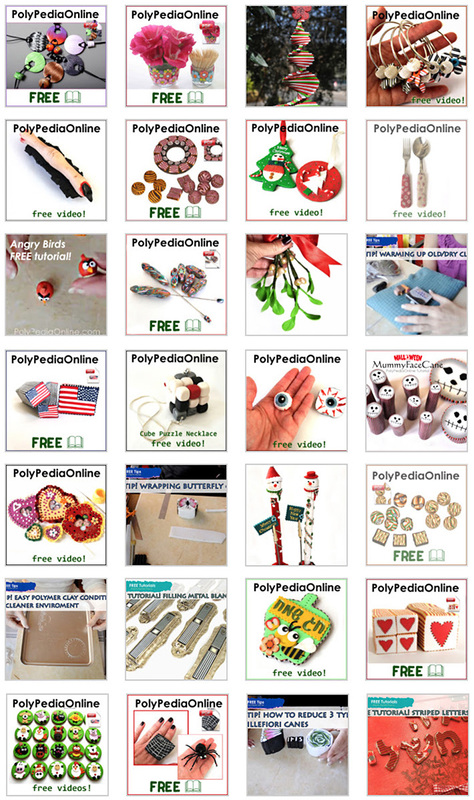 I truly felt like a proud ambassador, bringing the charm of fimo and polymer clay to new countries and new people. I'm glad I could take a piece of me, my personal joy and happiness and deliver it to new enthusiasts whether hobbyist artists or clay sellers. I would like to take this opportunity and thank Staedtler company and team for making me feel so welcome, being the perfect hosts and letting me work with "these square blocks" which makes me and many people so happy. I hope it's not too cold in Germany now, did I take sun with me? :) I heard that it's minus 10 now! toooo cold! and now? Back to work! p.s. - More photos are available in my Flickr and Facebook! I was extremely honored that I can meet and chat with you! You are a wonderful and warm person! thanks a lot or this nice report Iris. I'm glad it was such a great experience for you.